Pottermore has given us new insight in Slytherin House via the welcome letter by the Slytherin prefect. Congratulations! I’m Prefect Gemma Farley, and I’m delighted to welcome you to SLYTHERIN HOUSE. Our emblem is the serpent, the wisest of creatures; our house colours are emerald green and silver, and our common room lies behind a concealed entrance down in the dungeons. As you’ll see, its windows look out into the depths of the Hogwarts lake. We often see the giant squid swooshing by – and sometimes more interesting creatures. We like to feel that our hangout has the aura of a mysterious, underwater shipwreck. 1. Slytherin prefect Gemma Farley describes the house emblem, the serpent, as the wisest of creatures. What do you think about this description in light of all we know about Slytherin house? 2. In the welcoming letter Farley speaks about the Dark wizards from the past, long family lineages but also about students with a muggle parent. Do you think JKR has written this particular bit to redeem Slytherin post-DH? Or was there really no problem with halfblood students during the Harry Potter years? 3. Merlin, a famous wizard in the wizarding world but also from our own Arthurian legends, was a Slytherin according to JKR. A case of a desperate hatstall by the sorting hat or does it make perfect sense to you? 4. Slytherins care about the honour and traditions of their house. Is this solely connected to Quidditch? 5. Prefect Farley shows various sides of Slytherin House in her letter, she calls Slytherin: sleek, powerful and often misunderstood. Do you agree with her? 6. What do you think about the descriptions of other houses in the Slytherin welcome letter? And what do you think about the descriptions of Slytherin House in the Ravenclaw and Hufflepuff welcome letters? 7. At the end of her letter Farley shows a side of Slytherin we don't often see. She tells us not to judge those students that might not look anything special, because the Sorting Hat sorted them into Slytherin for a reason. Another redeeming quality of Slytherin? 8. Has the new information changed your opinion of Slytherin House? I think that is the subjective comment of a person who loves her own house. What could she have said? That snakes are primitive animals that think few and when they do it is only about their own survival? No one wants to regard themselvs like that. Also, the snake in this casa seems to represent the ability to get things under other people's noses wihtout these people realizing that, to be "sneaky" The prefect just took the "best side" , the good things. I don't know a lot about Merlin, so I can't really judge but I suppose it can be. Intelligence without ambition leads to very few. You have to have ambition to become really great IMO.4. Slytherins care about the honour and traditions of their house. Is this solely connected to Quidditch? No, I think it is clearly stated in the books that such a trait is in every aspect of their lives. They play to win, a sentence I find most revealing, always. Again I think this is a subjective comment. Of course I agree they are powerful. About the "misunderstanding" that is what coucht my attention the most for before reading the letter I had always thought about Slytherins in a similar way they portray Ravenclaws: as competitive people who didn't hesitate in jumping over the back of a housemate if that brought them a reward. The fact that she stated them as good friends and supporting of their housmates was for me a nice surprise. I find Ravenclaw's description most revealing: intelligence and such passion for good marks usually leads to competitive people and not so nice behavior. About Hufflepuff I was not surprised. But the piece I enjoyed the most was that of Griffindor and Slytherin being the two sides of the same coin. That is to me very true and explain very most events in the books and most characters too. To me a way to justify why Crabbe and Goyle are in Slytherin and I read it as "ambition ist more importat than or intelligence". It is like saying that if you have the will to get far that is enough to qualify for Slytherin. A bit, now I see them more like persons and less like "the bad ones" and still this information is not contradictory with what we know about them. Signature by Manechan on Deviantart. 5. I'd agree with Prefect Farley here, we've seen some Slytherins who are both powerful and misunderstood. Like Severus Snape for instance. He had dwelled in the Dark Arts before and later changed his ways out of love, I also seem him as being extremely powerful. I see Draco the same way, he showed an interest in the Dark Arts as well, I think Draco was very misunderstood. 8. It has changed somewhat, it doesn't appear as though all Slytherins are bad like how they're made out to seem even if the house did turn out the most evilist wizards. What could she have said? That snakes are primitive animals that think few and when they do it is only about their own survival? I think that she was speaking of symbolism rather than the actual trait of the animal. Lions are not chivalrous. Eagles are not paricularly bright (compared to some other species of birds, like parrots). Badgers are tenacious, but I doubt they are fair. Serpents have some negative connotations, but they are also sometimes conflated with dragons, which do tend to be considered wise (though Potterverse dragons don't seem to be either). But yes, I don't think she would dwell on the association between serpents and Satan in Christian mythology. The question supposes that Gemma speaks for the whole house. She doesn't. Bella Lestrange, a Slytherin of Harry's parents' generation, refers to "filthy half-bloods". So I think yes, there could have been problems with halfblood students. Either directly, or by peer pressure leading such students to focus on their wizard ancestry. Perfect for the versions of the legend I have read. He was a power behind the throne, and he laid long-term plans to bring about Arthur's conception and rule. So, heis ambitious, exercises power, and is cunning. No, we also need to win the House Cup. I would guess that there are other things we could leave to the fanfic writers or read about later. Spells they may like to use, activities people enjoy in the Common Room, traditions about past members that are handed down, etc. I am not sure what she means by this. I would guess it reflects the negative comments about her House she has heard from other sources (as the welcome messages provided by Hufflepuff and Ravenclaw's Prefects suggest she could have.) Those in my opinion can certainly lead to misunderstanding of Slytherin students by others. I hope it is OK for me to post this content without a link. (I will happily delete it if it is not, but we are being asked to discuss it...) One would find these on Pottermore upon being Sorted into the appropriate Houses. Since I am a Slytherin, I needed to find them elsewhere online, but the authors of the sites I found them on (obviously) do not hold copyright, Rowling does. We’ve produced the fewest Dark wizards of any house in this school. Of course, you’d expect Slytherin to churn out evil-doers, seeing as they’ve never heard of fair play and prefer cheating over hard work any day, . . .
Clearly these are houses that don't typically get on well. I think this message fails to recognize that "hard work" is often necessary to achieve great things, and so Slytherins can and do engage in it. (Examples would be Snape's teaching and Draco's fixing of Vanishing cabinets, whether or not we approve of either activity...) Also, it makes Hufflepuffs sound like maybe they are sometimes rule-bound, not able to see when a rule makes little sense and needs to be bent a bit. As for our relationship with the other three houses: well, you’ve probably heard about the Slytherins. They’re not all bad, but you’d do well to be on your guard until you know them well. They’ve got a long house tradition of doing whatever it takes to win – so watch out, especially in Quidditch matches and exams. Ravenclaws sound like they have a more realistic assessment of the pros and cons of Slytherins. They would compete head to head with Slytherins that have ambitions in the academic arena, and so heed this warning, but the caveat "until you know them well" suggests the speaker considers it worth getting to know at least some Slytherins "well". The Slytherin description of Ravenclaw seems to miss that sometimes, the 'Claw that may have beat them out on a class assignment was able to do so not because she crammed all night, but because she walked into school knowing all about the topic, from having been interested in it for its own sake. I am trying to think of a canon instance of conflict between school-aged Slytherins, and you know? I am not thinking of any. I think canon WAS showing us this all along and we just didn't see it because we were too busy seeing the behavior of Slytherin students towards students in other Houses. Draco was very upset when Crabbe died, and tried to save Goyle. Maybe he was acting in the traditions of his House. It has provided new support for my (oft in need of defending) view that Slytherin is not, many fans' and the Hufflepuff prefect's opinions notwithstanding, intended by Rowling to truly be "the evil house". I think cunning would be a more apt description. However, I think it does fit with the general Slytherin personality to consider the serpent wise as I think they would also consider cunning synonymous with wisdom. It was established in the text that half-bloods would be acceptable - particularly if they had a pure-blood parent like Snape and Voldemort did. It was muggleborns that Salazar Slytherin distrusted and wanted to exclude from the wizarding world. Harry tried to pass himself off as a half-blood Slytherin in DH when the snatchers caught them. The snatchers still referred to him as a "mudblood", but they accepted his story that he had been in Slytherin house. I think it does make sense. 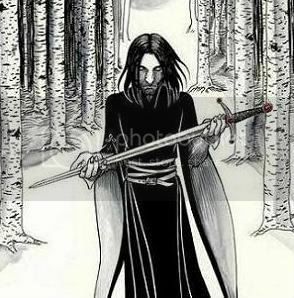 Merlin is certainly presented as an ambitious wizard who believed that the ends justified the means in Arthurian legend. He was willing to help Uther trick the Lady Igraine by making Uther appear to be her husband to produce Arthur. I could definitely see Merlin being a Slytherin. Quidditch was certainly part of it, but they also want to win the house cup and receive recognition for their academic accomplishments as well. The key theme presented for Slytherins is their view that just being in Slytherin means they are destined for greatness from what we're shown. To a certain extent. I think the misunderstandings stem from the negative behavior demonstrated by the majority. But at the same time, it's not always a misunderstanding either. Nor would I say that all Slytherins could be viewed as sleek and powerful - some had the prerequisite traits of ambition and believed that the ends justified the means, but they weren't particularly powerful - like Crabbe and Goyle for example. I think it's interesting to see how the inter-house rivalries create such a subjective view from those within each house. However, I also think that it's very realistic to demonstrate that people would feel that their house was the best. I see that as more them wanting to believe that rather than it actually being true. Slytherins in general tend to view themselves as superior - the very fact that they were sorted into Slytherin must mean that they are destined for greatness. That's what they want to believe. The idea that some could have ambition and cunning, but not be particularly "great" would diminish their superiority so they choose to believe that anyone sorted into Slytherin must have something great about them, IMO. Not particularly. I think it is consistent with what was presented in the books. Slytherin prefect Gemma Farley describes the house emblem, the serpent, as the wisest of creatures. What do you think about this description in light of all we know about Slytherin house? Well, I don't know about it being the wisest but serpents have a reputation of being cunning and being cunning is definitely a Slytherin trait. In the welcoming letter Farley speaks about the Dark wizards from the past, long family lineages but also about students with a muggle parent. Do you think JKR has written this particular bit to redeem Slytherin post-DH? Or was there really no problem with halfblood students during the Harry Potter years? I wouldn't say that there was never any issues with half bloods in Slytherin but from what we see in the books, there doesn't seem to be much of a problem in being a half blood. Harry, I don't think, was ever insulted for being a half blood. I would say that this is probably also because a large percent of Slytherins were half bloods. The pure blood line is supposed to be dwindling and we don't see these families having a ton of kids either. Merlin, a famous wizard in the wizarding world but also from our own Arthurian legends, was a Slytherin according to JKR. A case of a desperate hatstall by the sorting hat or does it make perfect sense to you? It makes sense for me. The thing is that most famous wizards seem to be a good fit for multiple houses. Slytherins care about the honour and traditions of their house. Is this solely connected to Quidditch? I think there probably is an expectation for new students to act like how a Slytherin is expected to act. Prefect Farley shows various sides of Slytherin House in her letter, she calls Slytherin: sleek, powerful and often misunderstood. Do you agree with her? They definitely are misunderstood. Perhaps as much as Hufflepuffs. What do you think about the descriptions of other houses in the Slytherin welcome letter? And what do you think about the descriptions of Slytherin House in the Ravenclaw and Hufflepuff welcome letters? I think Ravenclaw gets it most right. IMO Ravenclaws are probably in a better position to understand Slytherins. Slytherins are supposed to be cunning and ambitious, traits which I think are shared by many Ravenclaws. At the end of her letter Farley shows a side of Slytherin we don't often see. She tells us not to judge those students that might not look anything special, because the Sorting Hat sorted them into Slytherin for a reason. Another redeeming quality of Slytherin? 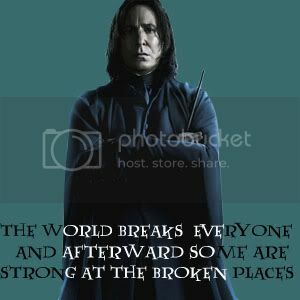 IMO its part of "you're all slytherins here, back each other". Has the new information changed your opinion of Slytherin House? Not really. I've never really had a negative opinion of the house and what I've read fits perfectly. It would've been nice if the Slytherins we saw in the series actually showed some cunning. Draco showed a little in the first book but after that they all became generic bullies. Most of that is just because we see the story from Harry's point of view, and Harry is extremely biased in this regard. He doesn't see the cleverness of their plans. He just sees generic bullies. Still, we do get evidence of Slytherin cunning. Draco was brilliant in devising a plan to get Death Eaters into the school. He then pulled it off nearly perfectly. Snape was obviously a very cunning man. He can clearly apply his knowledge to practical applications (such as in potions), and was an extraordinary spy. Slughorn was at least a very good judge of character. "When you're calling someone a fruit, you're calling them tasty." "First be good, then be great." I always liked snakes - I was never afraid of them (no really poisenous around where I live) and thought their skin patterns beautiful. Mythically and historically speaking, snakes have been powerful creatures, and yes, often a symbol of beauty and wisdom even (Chinese, Egyptian, Celtic cultures are just a couple that spring to mind). While those attributes are quite attractive, there hasn't been much in recent Slytherin history to actually provide sufficient foundation for applying it to the House. Still, it's all about potential, so I guess it highlights that Slytherins do have the potential for wisdom - and use their other attributes (stealth, ability to change and shed their skins and their cold-bloodedness) to the best of their abilities, in the meantime. Slytherin appreciates ambition and cunning; why would that be limited to purebloods? Salazar Slytherin had a point about being wary of muggles in a time of witch hunts; that doesn't mean that muggle-borns with those characteristics wouldn't be accepted imo. Salazar was looking for those with seeds of greatness - it would be foolish to limit one's options and potentials. And sorry, Slytherins in general are not fools. After all, Slytherins are results-oriented, remember? The end justifies the means etc. etc. So, no I don't think JKR has written this to redeem Slytherin. I just think she doesn't understand Slytherin that well (I know she invented them, but for her it might be more of an abstract knowledge rather than an ingrained instinct). Makes sense - Merlin was cunning and ambitious; he had a plan and focused on the outcome. I guess he got a bit complacent, in the end though. But that's not solely a Slytherin fault. Misunderstood only in the sense that Slytherin House has had its (big) share of bad apples and prejudice has been based on that. People expect Slytherins to have no integrity, because we are ambitious and looking for ways to reach our goals. Personally, I think this more about priorities. Slytherin priorities might (rather certainly) differ from those of other houses. Misunderstanding might come from Slytherins valuing some things more than other Houses and vice versa. Like I said, it's about different priorities and different perceptions. The interpretation in the welcome letter reflects how things look potentially from a different perception. What a Gryffindor might find brave and chivalrous, a Slytherin might consider foolish; what a Ravenclaw finds worthwhile to spend his time on (gaining knowledge) might feel pointless for a Slytherin if not targeted to a specific goal. And the general "niceties" of Hufflepuffs smack of weakness to a Slytherin. Not really, I have always appreciated the House of Serpants. For me, the Dark Wizards do not define Slytherin. It's just that their desire for power does naturally attract them to a House that is as goal-driven as Syltherin. Well its just not true. I really like snakes, but snakes generally aren't known for their brains. Though I think for an animal you can say they are cunning. They are great escape artists. Apparently if there is a way out of that cage that snake will find it, remember how to get out, and get out often until you find out how he got out. YES. Snakes (and Slytherins in the books) are very misunderstood. Many people seem to think snakes are slimy and mean-tempered, and hate and fear and kill them for no good reason. Snake owners take alot of junk from people who dont like snakes. Some people just wont be as great as others in the long run. But that there is the potential (since you need imo ambition and determination) is interesting. With enough willpower, you really can get farther than another with your same capabilities. I think rather than there being something great about them, there is the potential. Last edited by S_mackrell; July 22nd, 2012 at 8:54 am. I don't think the snake is the smartest of animals. And if they were wise, they would have been sorted into Ravenclaw. I think it was solely a biased statement. There were never problems with halfbloods- Voldemort had a completely muggle father without a hint of magical blood. Do we even know a lot about Merlin, other than he is great. Slytherin was a house of ambition, and Merlin would have definitely needed it to be the greatest. Also, the sorting hat told Harry that Slytherin would help Harry achieve greatness and fame. I think that Merlin in Slytherin actually makes a lot of sense. No, because at that time, Slytherin constantly won the house cup. I can agree with that. Not all slytherins are bad, but it is often thought so. I agree with misunderstood the most. This surprised me, as Slytherins and Ravenclaws are quite similar. I certainly expected to see the bashing of Gryffindors, but there was none of that. NO because she bashed Ravenclaw and particularly Hufflepuff about not being significant or normal. Yes, it has made me look at it not from harry's perspective, but the way someone would when they just entered Hogwarts. Serpents, IIRC, are often considered as a symbol for medics. A profession that is considered wise and such. And I guess that fits the house pretty well. I don't think there's much to redeem. But aside from that, I think that the sorting hat didn't care about the whole blood purity thing and just placed the students into the house where he thought they'd fit in. It's not even possible to find enough students who are clearly pure by any means. Sorry, don't know much about Merlin. No, why should it be that way at all? Quidditch isn't everything, especially if it comes to honour and traditions. Sleek, yes. Powerful... ambition may lead to power. But ambition doesn't mean you'll automatically reach your goals. Misunderstood... maybe. Partially. Don't really care about them. I don't really like the whole redeeming idea. But the whole "don't judge another student just by what you see first and instead consider that there might be something "even better" inside them... I think it's pretty right and might fit the whole house pretty well. I think that "wise" is a rather subjective concept. However, in light of all we knew about the Slytherin house, I don't think it applies - which HP character was described/intended as the wisest, again? I think JKR has written a lot of Pottermore info to redeem certain characters and plot points post-DH. And what Farley actually says is: "...nowadays you’ll find plenty of people in Slytherin house who have at least one Muggle parent." "Playing to win" does not refer to sports only. Do I need to hit you with a thesaurus, Hes, or are you just yanking my chain? Actually, she calls the Slytherin emblem - the snake - all that... and I happen to agree. No. The Sorting Hat song(s) predate Pottermore, and I tend to go with what's in the books as opposed to what's online. Crabbe and Goyle are shining examples of wisdom. Hard to say, as Harry has no interest in knowing anything about the Slytherins (nor about the other houses). But we know that Snape and Voldy are half-bloods. Sounds about right. Snakes are naturally cautious and prefer to remain unseen until they assess a situation, particularly when there's a threat. If an opportunity arises where they can strike, they will. If they think a tactical retreat is in their best interests, they do. I think that's the essence of Slytherin. Seize opportunities while ensuring self-preservation. It's perfectly reasonable to me. I think the pureblood ideology was largely lip service. The books themselves explain (correctly) that blood purity could not be maintained without the inevitable risk of inbreeding. Perhaps modern Slytherins stated the value of blood purity out of fear from Voldemort? It would certainly be nice if magical society could be maintained without the need for half-bloods and especially without mudbloods, but unfortunately it can't. I can see the logic to it. Slytherin traits are based on ambition, cunning, leadership, and resourcefulness. Merlin would have had these virtues, plus a ruthless instinct that only Slytherin can develop and nurture. Honour? Non-applicable in competitive pursuits. You have to do what you need to do to win. The only tradition that matters is winning. Absolutely. I can only put it down to jealousy and envy. I have issues with the other houses. Gryffindor values bravery and courage. Those things can get you killed. When in doubt, run! Ravenclaw values intelligence. Without instincts, raw intelligence can be limiting. Hufflepuff values people who work hard. Personally I don't believe in it. I prefer to work enough. Of course. Looks can be deceiving. Greatness often lies under the surface. I always knew Slytherin was the best. Last edited by AldeberanBlack; July 13th, 2016 at 6:22 pm.